Warcraft II Part #34 - Two Headed Lore! Cho'Gall and Killrog! Part 34: Two Headed Lore! Cho'Gall and Killrog! Two-Headed Lore! Cho'Gall and Kilrogg! Cho'Gall has a surprisingly lengthy history given his rather brief appearance throughout the games. As a matter of fact, before Cataclysm's release, he only appears in this one level throughout the entire series. This was enough, however, to cement his place in Warcraft lore forever. I blame this on the Gul'dan effect, as illustrated below. 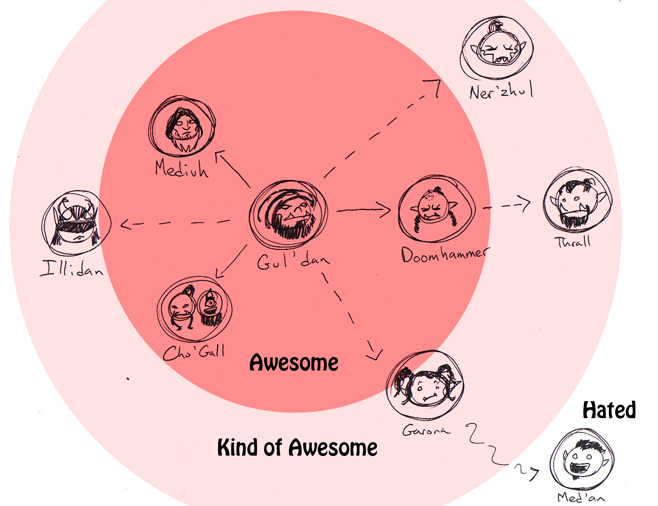 The closer one is in relationships to Gul'dan, the more awesome you are. Likewise, the more connected to Med'an you are, the more hated you are. Garona went from a very respectable lore character to... well... we all know. Cho'Gall was born a two-headed ogre, which is quite the rarity. Seeing in him great potential, Gul'dan trained the young ogre in the mystical arts of the Twisting Nether. Together with Gul'dan, Cho'Gall assisted in manipulating the orcish race into stamping out life wherever it was found. When Gul'dan began his assault on Azeroth, it was Cho'Gall who helped lead the first raids into the human countryside. Together with Kilrogg Deadeye, the ogre spearheaded the charge into Stormwind Keep, only to be shut out by the humans. Cho'Gall became a chieftain through... mysterious happenstance. After a chieftain was killed for going against the will of the Shadow Council, Cho'Gall was instated as the new Chieftain. He renamed the clan The Twilight's Hammer clan, and devoted his resources to bringing about the apocalypse. In his spare time he worked with Gul'dan to further their research (giving us ogre-magi and the Altar of Storms). With the coming of the Second War, Cho'Gall worked behind the scenes, mostly helping Gul'dan further his ambitions. 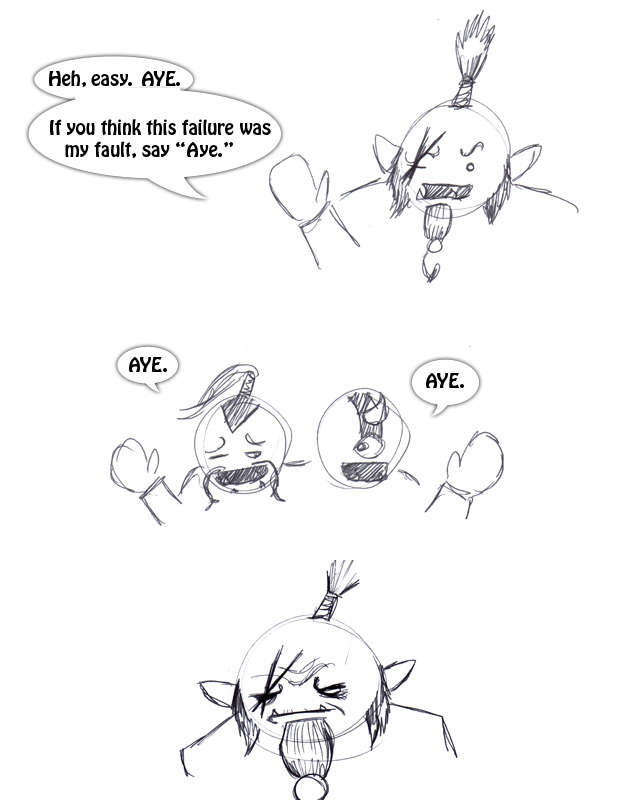 However, the clever ogre-mage had a few side projects of his own. What sort of refineries does Grim Batol have that it requires one of the most powerful mages in Azeroth to check? Go on, make fun of his hair. Kilrogg Deadeye, is another story. As you read, he worked with Cho'Gall to siege Stormwind Keep, but it ended in failure. 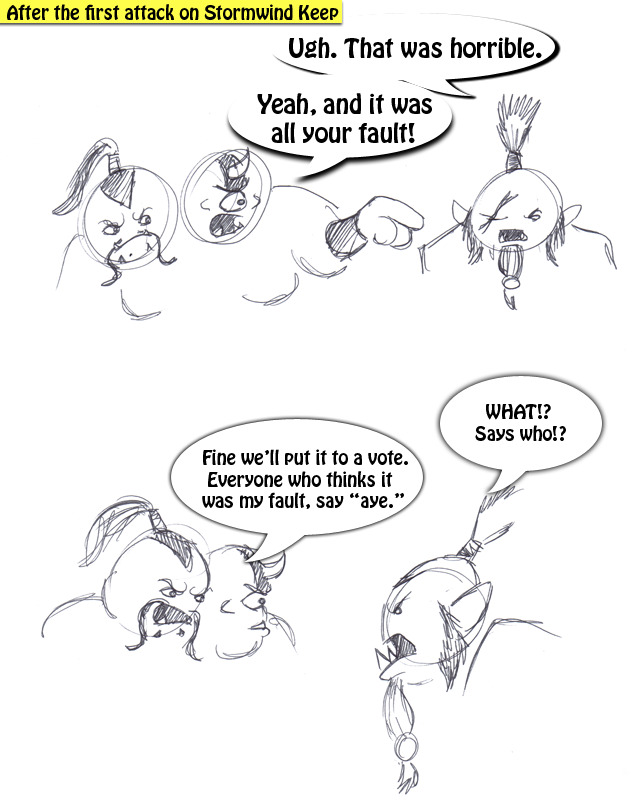 However, even prior to this loss, there were a number of orcs who wondered about his leadership skills. You see, unlike many warriors and chieftains, he wasn't so quick to lose soldiers in combat. To others, this made him look feeble and cowardly. Combined with his already infirm age, there were many who thought that Kilrogg should no longer have been a chieftain. As a result, he killed three of his sons and two grandsons who challenged him for the right to rule the Bleeding Hollow clan. If that isn't , I don't know what is. Deadeye remained low-key during the First War, assisting where he could, but he was not one to send his forces into an unwinnable battle. 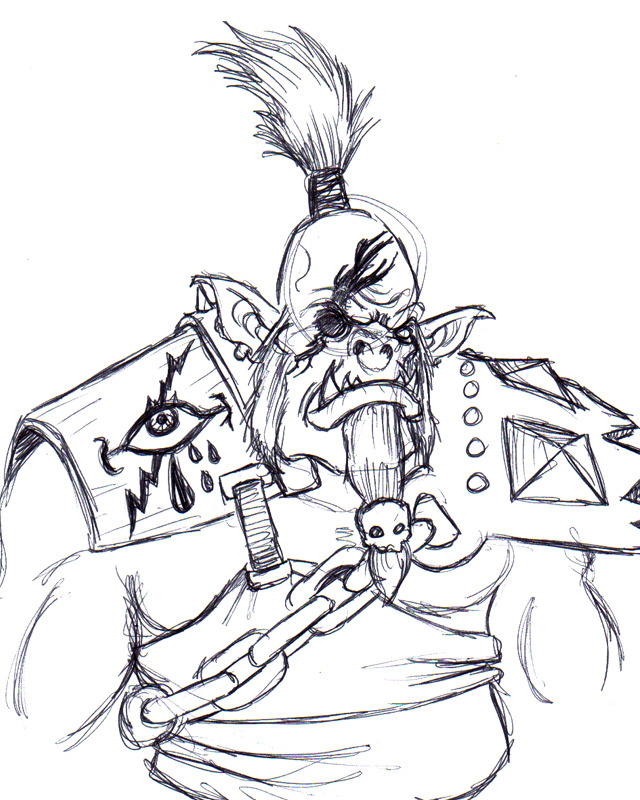 He wasn't particularly phased by Blackhand's death, somewhat marking Kilrogg as an exemplary orcish warrior. "If you're weak and die, then they guy that killed you is clearly the better guy to follow." He had no problems working under Doomhammer, who stationed him in Khaz Modan to protect the mining operations there. There he could still be seen as a powerful force while keeping his men out of reckless battles.